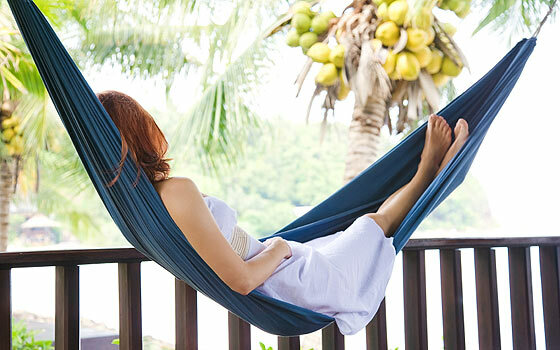 No, this isn't me, but it does look like a blissful way to spend a Sunday. And while you're relaxing is the perfect time to get to that reading that you don't have time for during the rest of the week. Sometimes all you feel like is some escapist literature, but often it's also nice to stretch your mind a bit and learn about something new. 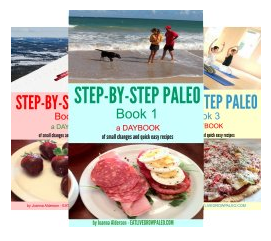 Every Sunday I will give you some quick overviews of interesting articles, books, websites and blogposts that I have found which I think you might find interesting in your quest for healthy Paleo living. At the end of each post I will give you some links in case you feel like exploring the subject further - from your hammock or wherever your particular favourite relaxing place might be. Today I'm going to give you a quick primer on organic fruits and vegetables. Just as with home made meals, home grown vegetables and fruits are the only ones that you can be 100% sure of when it comes to how they were grown. 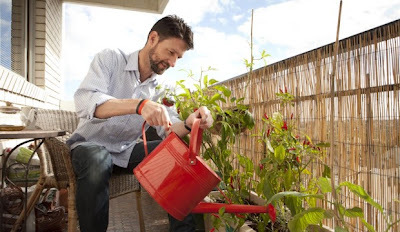 The organic gardening movement has really expanded, mainly due to some high profile people who have gotten involved. When Prince Charles of England started his organic garden at Highgrove several decades ago, he was considered eccentric, however things have changed a lot since then and now even the white house has an organic vegetable garden. 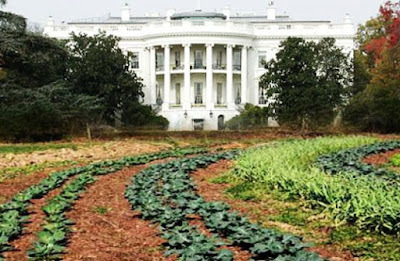 It's obviously been a success because in 2010 the garden was expanded at Michelle Obama's request. Unfortunately we don't all have the ability to grow our own food. Some hardy souls have managed to use city balconies to grow part of what they need, though not easily I'm sure. 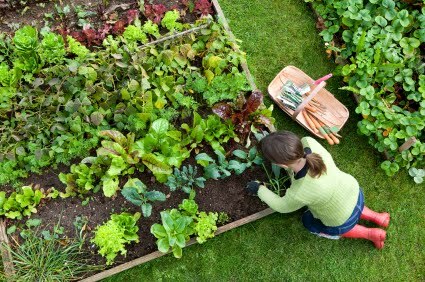 If you are lucky enough to have a garden then make the most of it, but if you don't, or live in a climate where year-round gardening isn't possible then you more than likely need to depend on store-bought produce at least part of the time. That being the case, it pays to educate yourself. 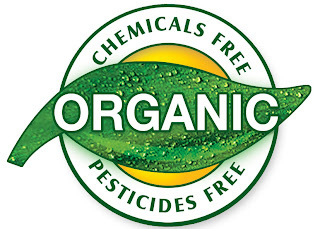 You are always told to buy organic vegetables, but when it comes down to it, when you see "organic" on the sticker, what does that really mean? 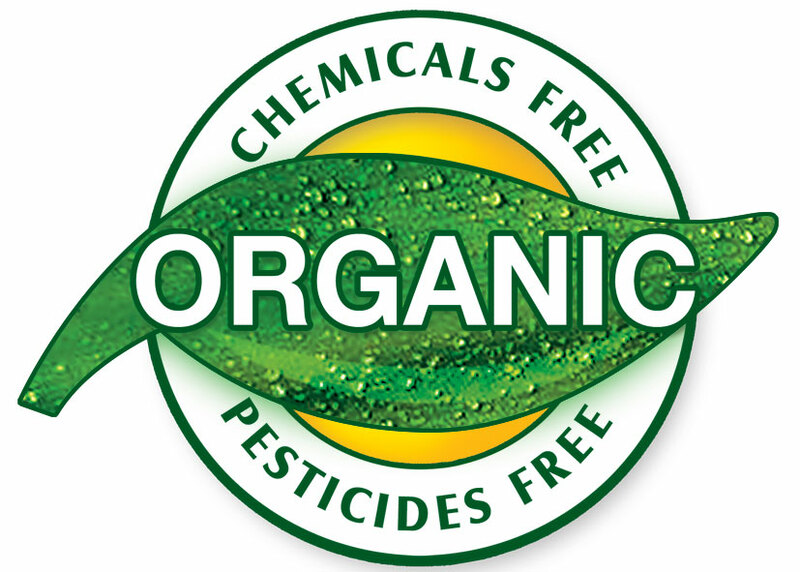 It can be confusing for the consumer because there are many organizations that "certify" organics. Some are state-wide, some are country-wide, and some are world-wide. This is why you can see many versions of organic stickers, but usually if the food you are contemplating buying has an organic sticker of some sort then you can be pretty sure it's had to meet a certain set of standards. The Organic Trade Association (OTA) is the membership-based business association for the organic industry in North America. (This includes the US and Canada but not Mexico from what I can see). 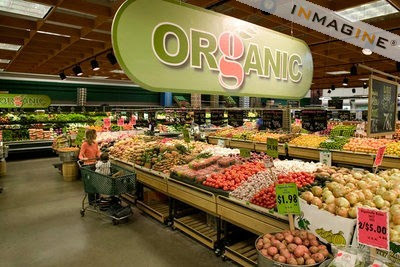 OTA’s mission is to promote and protect organic trade to benefit the environment, farmers, the public, and the economy. 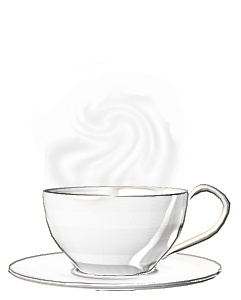 OTA envisions organic products becoming a significant part of everyday life, enhancing people's lives and the environment. For produce imported from countries other than the US and Canada there is IFOAM - The international Federation of Organic Agriculture Movements. 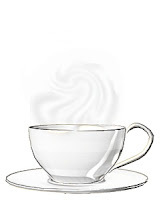 They also have their own certification process - formal and informal. 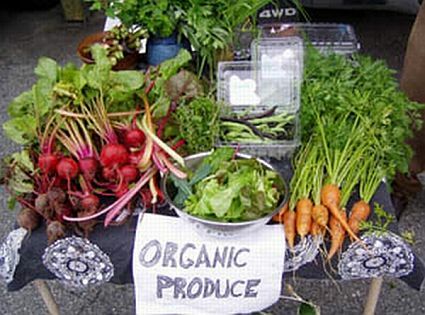 According to Wikipedia: "Organic certification is a certification process for producers of organic food and other organic agricultural products. In general, any business directly involved in food production can be certified, including seed suppliers, farmers, [food] processors, retailers and restaurants. Requirements vary from country to country, and generally involve a set of production standards for growing, storage, processing, packaging and shipping . Wading through all the information on all the professional sites can be time consuming. There is a very good article at http://www.pickyourown.org/organic.htm that pretty well tells you everything you need to know, and as an added bonus, they have a very thorough list of pick-your own farms and lots of information on canning for those who are interested. 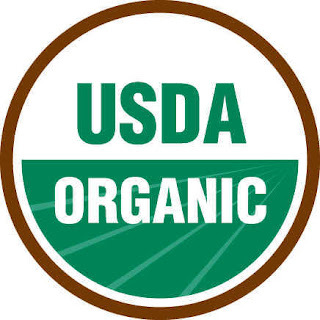 Basically, if you eat food produced either in the US or Canada which have been labeled organic, you can be pretty sure they have met high standards. If you buy at farmer's markets you won't always know just how reliable the source is, but I think you can tell a lot by the taste. If you see produce from a particular vendor that looks fresh even though it's not perfect (expect a few blemishes and spots. Perfect food is almost always chemically grown) then it's probably worth asking some questions. Find out how it was grown and if any type of spray was used. If you are satisfied with the answers then I say it's worth giving it a try. Many small farmers can't afford to get certified but if they tell you they grow organically then there's a good chance they do. 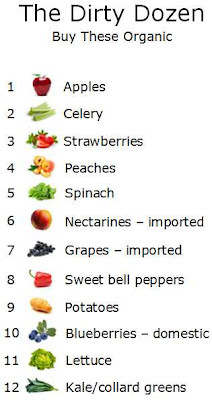 Many people can't get all their fruits and vegetables organic because of financial reasons and also because they are just not available where they live. 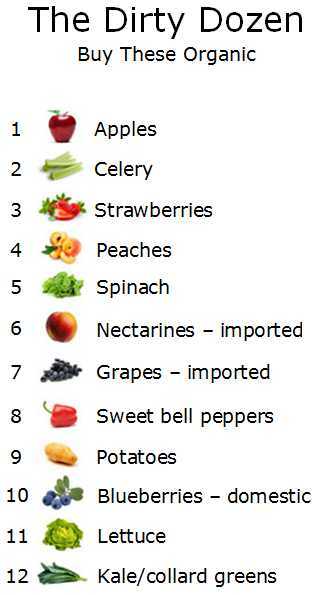 For this reason it's useful to know which food has the most pesticides and should always be eaten organic. Personally, if these aren't available organic where I shop, I do without. On the other hand there are some foods that contain little if any pesticides. This is where you can save some money if you need to and buy the regular versions. These charts come from a post written by Dr. Al Sears and if you don't know about him you should certainly check out his article here. He also recommends that you soak any non organic fruits and vegetables in a solution of water and vinegar or dishwashing soap for 15 minutes, then rinse well. There is a lot of other interesting information in this article as well that is well worth reading.